Honey bee at Redwood Hill Farm ~ Capracopia are an essential part of our sustainable farm life. The hum of bees is the voice of the garden. Honeybees are responsible for one in every three bites of food consumed around the world. Some 70 of the top 100 crops in the U.S.A., including most vegetables, fruits and nuts, are pollinated by honeybees. It’s no exaggeration to say that the world’s food supply depends upon the work of these busy pollinators. 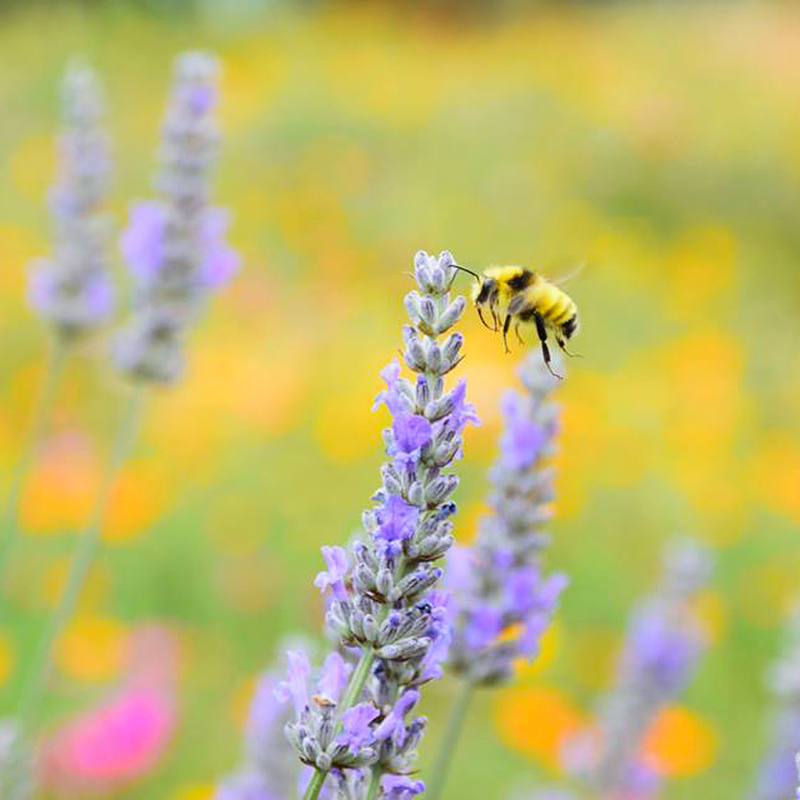 Sustainable, pesticide-free, certified organic farms like ours help bees thrive. Farm Manager Scott Bice launched our honeybee project years ago; today, our longtime farmhand Gergana “Geri” Karabelov tends 10 hives in our fruit orchard. Under her care, bees roam among the farm’s apple, peach and plum trees; bobbing also amidst flowers, vegetables and herbs. In the spring, they enjoy the trees in bloom; lavender is one of their summertime favorites and our rosemary plants sustain them as winter is coming on. We harvest honey annually in the spring. Depending on conditions, a single hive can produce an impressive 30-40 pounds of honey per year. You can sample Capracopia honey if you join us for a farm tour. We particularly love it drizzled atop goat cheese and served with fresh farm fruit. At Redwood Hill Farm, caring for honeybees is a part of our commitment to the environment – one that brings sweet rewards. “There is so much to learn from honeybees,” Geri says. “Honey is such a healthful food, that’s why it’s so rewarding”. But does Geri ever get stung while tending the hives?